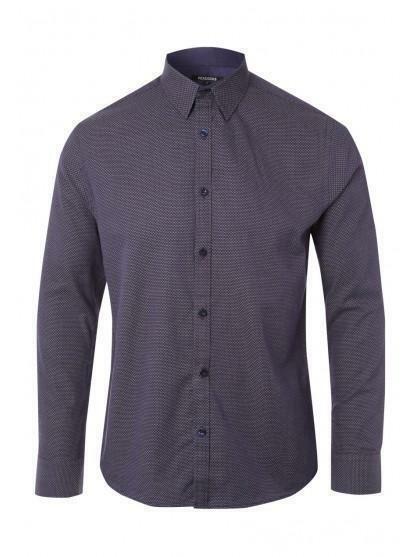 Smarten up your look this season with this mens dark blue long sleeve shirt. 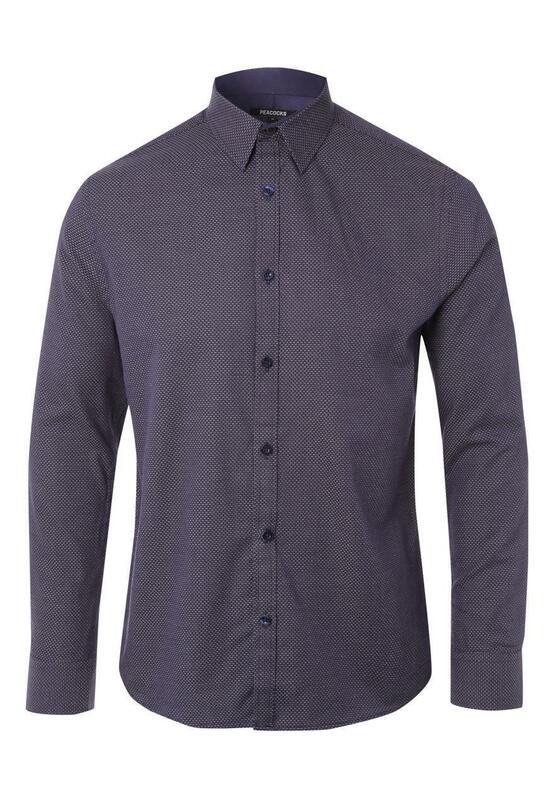 This button up front shirt features a stiff collar and cuffs. Wear with tailored trousers to the office or opt for dark washed jeans on the weekend.